“Learning is about transformation, it’s about change, it’s about seeing yourself in relation to the world differently,” (Apte, 2003, pg. 168). This phrase essentially summarizes the core concept of Meizrow’s theory of transformational learning. Meizrow viewed learning as a journey of a learner changing their frames of reference by interpreting experience and these interpretations would then guide their actions and empower the learner to give a rationale for those actions (Meizrow, 2000). In essence, learning then becomes a shaping of worldview, as it causes learners to reflect on the process of validating ideas that are in conflict with assumptions brought forward by the learner through prior knowledge, (Meizrow, 1991). This journey of self-reflection involves series of paradigm shifts that become the framework by which transformative learning occurs, thereby undergirding a process of discovery (Meizrow, 2000). This process of discovery helps each learner to navigate a shift exclusivity of learning to a more inclusive approach that allows the learner to be more holistic in their application of experience and prior knowledge to the process. Learning then also shifts from being rigid and prescribed to more permeable and malleable as the learner embraces the uniqueness of who they are, what they are learning and why it is important the them in their particular situation of life (Kroth & Boverie, 2009). Learning, then also becomes more integrated into the life of the learner and not merely facts and figures that are regurgitated in such a way merely be extrinsically assessed. The assessment now becomes much more internalized as these paradigms shifts help the learned differentiate learning from being and how to balance the reality of needing to grow and develop while guarding against becoming codified in their being (Csikszentmihalyi, 1990). The discovery process enables learners to use intentional, deliberate and assimilative inquiry to navigate changes in worldview that are more transformative than learning facts and figures. In this sense it could be said that the renewing of one’s mind in more transformational than merely changing one’s mind which has a more temporal reality (Plantinga & Wolterstorff, 1984). Self-examination, through a reflective questioning process which can be accompanied by intense feelings of guilt, fear anger or shame, (Taylor, 1997). Critical assessment of assumptions and the inspiration to think Meizrow differently and face contradiction (Apte, 2009). Sharing with others one’s discontent with the process and connecting with others to balance the internal with the external (Lang, 2004). Exploration of new roles, relationships and actions that will help correct the course of the learner and point them into a new direction based on the new ideas that have entered into their noetic structure (Plantinga & Wolterstorff, 1984) which is a philosophical framework of how ideas and beliefs, like schema, connect (Davis, 1991). Planning a course of action to validate the learning that is occurring and assimilate it into the learner’s individual reality. This process of action planning requires the final three elements of Meizrow’s theory to ensure that the plan of action is developed, implemented and evaluated in the life of the learner. The learner, as a part of the action process must acquire knowledge and skills sufficient for implementing the new action plan, provisionally try out the new roles that are associated with the new action plan (Meizrow, 2000) (Kuhl, 1985), and reintegrate the action plan, the new ideas, the shifts of belief and other paradigm shift into their life in such a way that their transformed noetic structure and worldview is now dictated by a new perspective (Reuschle, 2009). However, the important aspects to take into consideration when this process begins through the elements are the speed of discovery and influence on these discoveries (Kroth and Boverie, 2009). Discovery can be viewed, by the learned as being imposed (these dilemmas are happening to me), or intentional (these dilemmas are happening because of me) and the speed of this discovery can be classified as evolutionary (slow) or revolutionary (immediate). These axes being established Kroth and Boverie crafted a four quadrant theory based on the combination of these elements. Quadrant 1 shows dilemmas that fall into the category of revolutionary and imposed. These cause initial shock trauma and pain and are related to what Meizrow called the beginning of perspective transformation, (Meizrow, 2000). Quadrant 2 shows dilemmas that are revolutionary and intentional which brings about epiphany and enlightenment (Kroth & Boverie, 2009). Quadrant 3 show the evolutionary characteristics of dilemmas and how, when imposed, reveal a slow set of disturbances to belief systems and perspectives that are associated with stories, experiences and ideas that have a gripping intensity on perspective or belief (Gergen & Kaye, 1996). Finally Quadrant 4 shows dilemmas that are revolutionary and intentional. These dilemmas are a series of generative explorations into belief or perspective that reflect Meizrow’s ideas that perspective transformation moves the person into self-examination and self reflection to really search for meaning and purpose (Meizrow, 2000). This transformational evolution through discovery can be used to facilitate growth in many areas of the adult life, from religious belief to career development, from professional growth to life coaching, and even from archaeology to epistemology, all of these areas can be streams by which discovery and transformation can be a process that causes results of lasting and positive change for the learner and/or professional (Vygotsky, 1978). In examining Knowles Model of Andragogy, there are immediately two conflicting theories that must be understood. Knowles’ posed that the principles of andragogy were far superior for the adult learner because the traditional learning framework of pedagogy was lacking it is essence for learners whose experience plays a vital role in their growth (Knowles, 1980). Pedagogy can be best defined in it’s most constructive framework and that is of a student exclusive infrastructure where students only need to learn what is taught by the instructor, prior experience is not necessary for learning, and the instructor’s concept of a learner is that of dependency (Knowles, 1980). In contrast to this, andragogy is a framework that sees the instructor as the facilitator who guides the learners through a process of understanding rather than merely managing coursework (McGrath, 2009). This is what makes adult education unique in that an adults retains the ability to analyze and apply materials to real world scenarios based on their experiences and prior knowledge. This process of andragogy then can be viewed not only as a process of learning but as a process of understanding humanness and one’s individual potential (Henschke, 1998). Within andragogy there are six areas of emphasis that Knowles felt were required to ensure success for the adult learner Taylor & Kroth, (2009). First, adult learners imperatively need to understand why they are learning what is being presented. Problems must be identified and goals established so that each learner knows where he/she fits into the learning process (Woodard, 2007). If the learner is has no prior knowledge of the subject being presented, then it is imperative that he/she understands the goal of what new learning is occurring and why it is important for the situation that it represents. If there are perspectives or assumptions that need to be altered or changed, then that needs to be clearly communicated to the learner as well (Taylor & Kroth, 2009). This is very similar to the introduction of dilemmas in Meizrow’s (2000) transformative learning theory, but in this case, the instructor has more control over the speed of the discovery and is empowered to help make the changes more evolutionary than revolutionary (Kroth & Boverie, 2009). This process of communication will help the adult learner understand the nature and points of contact for what is being presented and learned. Second, learners must be empowered to be self-confident. Even for self-directing learners (Pratt, 1993), it is imperative that the information is exhaustive so that the learner walk away from the learning feeling confident that the new concepts and perspectives can be applied to their situation and a process of change can begin (Woodard, 2007). Knowles felt that every learner needs to be oriented to the idea that solvency for real world problems came through education and that education then reciprocates competence and skill back to the learner (White, 1959). This cyclical process creates a relationship where the learner had a readiness to learn that would increase his/her success at implementing change (Knowles, Holton & Swanson, 2001). This is in contrast to Meizrow where he believed that transformative learning was at the heart of a real change in perspective (Meizrow, 2000). Knowles assertion that a learner is able to assume a perspective that learning is a process of analysis, synthesis and evaluation that are beneficial to the learner even if transformation does not occur (Stevens, Gerber, & Hendra, 2010). The third area of emphasis is the personal (perhaps emotional) concept of the learner him/herself and the process that the learner undertakes to move from being dependant as in the traditional pedagogical model with a clearly self-directed model of behavior and dependency which is at the core of andragogy, (Knowles et al. 2011) (Deci & Ryan, 1985). The implications here are that the learner must first learn to take control over his/her own learning which means empowering the learner through a framework that communicates, models, reinforces through feedback, and continuously helps to motivate the learner to continue to direct themselves to him/herself through the learning process (Woodard, 2007). In this, Knowles’ uncovers a notable issue within the theory of transformative learning; it is possible that not every change is a transformational change (Keegan, 2000). 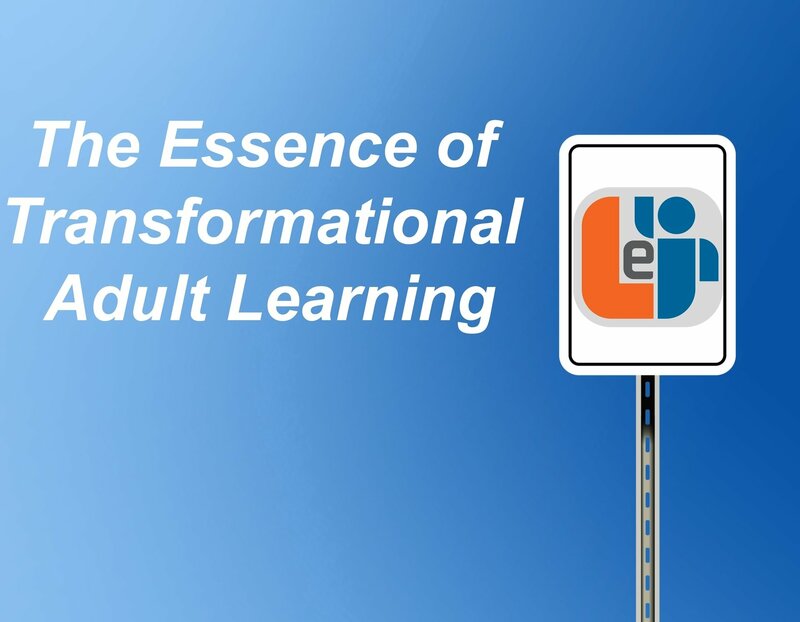 Further the learner must be able to recognize and understand the differences between informative and transformative learning, so that he/she may use that as a factor in their self-direction. Keegan (2000) felt that this would be a difficult concept for most learners. For Meizrow (2000), there is an implication that informative learning is merely and information exchange and will not have a lasting impact o the learner because an exchange of information may not lead to a dilemma that then promotes the learner towards self-reflection and action planning (Apte, 2009). For Knowles, all learning is summative in the sense that each adult has the capacity to combine intrinsic and extrinsic motivators to respond to learning (Schein, 2010). Now as far as a learner self-directing, it would seem that both models of learning would place an emphasis on self-direction as a means through the process, the difference is that Meizrow’s goal is a more existential one (Reuschle, 2009), whereas Knowles’ puts a higher premium on experience, communication and some level of shift for the learner, which speaks to the fourth area of andragogy, experience and prior knowledge (Woodard, 2007). For many learners, prior knowledge and a continuing evolution of learning has been empowered through mentor-mentee relationships and portfolio development, and both of these practices have been reported as being major influencers in the success of adult education programming (Stevens, Gerber & Hendra, 2010). For the successful learner there is a process of understanding the gaps in their knowledge and the applicability of what knowledge they possess to real world problem solving in situations that they are facing (McGrath, 2009). This is especially true when the environment itself leads to a felling of safety when discussing these issues and possible solutions. This is in sharp contrast to the core of Meizrow’s model which relies on the introspection of the learner and external coaching to inspire new thinking (Apte, 2009). Finally, the two remaining areas of focus for Knowles, center on a learner’s readiness to learn and their motivation to learn (Knowles, Holton & Swanson, 2011). Inherent in these areas are some issues that must be addressed for each learner who is engaging new ideas and skills. First, it is difficult to fully assess andragogical success through traditional assessment tools as they are anathema to the core beliefs of the theory itself (Heller, 2004). These traditional assessments speak to a more pedagogical approach that would lead to a regurgitation of facts rather than their assimilation for the learner. The tendency in andragogy is to rely on anecdotal evidence rather than experimental (Merriam, Caffarella & Baumgartner, 2007). Further it is difficult to ascertain what indicates success in andragogical practice (Rachal, 2002) and this begs certain questions concerning the definition of adulthood versus childhood (Pratt, 1993) as well as other areas of concerns among other theorists including the real time needed to conduct learning in an andragogcial environment (Grace, 1996). Even with these concerns, the subject of adult motivation is important to the discussion of andragogy, as the theory does not work with unmotivated learners or instructors who can not recognize an unmotivated learner (McGrath, 2009). Schein (2010) held that the level of intrinsic to extrinsic motivation is ultimately dependant on the learner him/herself and his/her own perceptions, work ethic, and values. This certainly points to the harsh reality of being pointed to a dilemma, especially in the realm of a revolutionary and imposed world where sudden and extreme dilemmas provide a rich ground for new perspective to be found (Apte, 2009) (Miller, 1993). Certainly Meizrow’s theory, although not a proponent of a consistently safe environment for these shifts in paradigm to occur as is the nature of Knowles theory in facilitation (McGrath, 2009), provides a rich environment for intrinsic motivation that may leave many who attempt to build on a foundation of andragogy finding that although an understanding of the adult student is certainly a positive outcome for this framework, andragogy may have a difficulty in expanding or clarifying the definition and process of learning (Siemens, 2006) and how motivation can occur with out it being prescribed or externally imposed (Pratt, 1993); although many believe that adult learners in general are typically well motivated intrinsically (Merriam et al, 2007). To this end, there are some who have gone as far as to question andragogy as being included as a complete and cohesive theory at all (Hartee, 1985) because it fails to fully define learning or learning’s context (Cercone, 2008). Yet even beyond all of these objections, it is obvious that adult education has a specific set of foci that must be addressed and that learner motivation, albeit whatever combination of intrinsic and extrinsic is a key to the development of coursework that will help to bridge the gaps of learning that are a part of human growth and experience. Both of these learning theories have a place in the spectrum of adult learning for the next generation of learners, however, with the increasing influence of social media and other connecting forces, and with the advent of Smartphone technology, communities are emerging where a clustering occurs of similar affinities (areas of interest), coupled with technology that is allowing an open environment of interaction, sharing, dialoguing and thinking together (Siemens, 2005). Given these realities, it is not difficult to see where a connective theory of learning could be the intersectional framework where all of these theories could be brought together (Kop & Hill, 2008). Yet, there are still distinct instructional design values that can not be ignored since the goal of design theory is to foster the sharing of information, skills, knowledge and experience among adults who share the same affinities (Snyder, 2009). These affinities therefore cause these intersections and this is where a higher form of collaboration can occur. Stephen Downes has written extensively, across many different spectrums of internet based connecting, about the power of connectivism as a platform for developing a new learning model (Downes, 2007). This model holds the promise to embrace technology and affinity based internet and professional communities and organize them into a structure that can be powerful in approaching learning and problem solving across disciplines, people groups, and geography in a way that would even redefine diversity in every sense of the world of research and education (Siemens, 2006). In his model, Downes (2006) discusses these affinity structures as being teaching and learning communities that are self sustaining and dedicated to continuing development in their shared affinity (Kop and Hill, 2008). These communities, or nodes, are then joined together my some other means, a problem as an example, and these nodes then join with other nodes for the sake of solving this problem. This joining of nodes becomes a network and these networks can quickly grow to become a vast schema of different ideas, perspectives, and innovations that could help to solve problems in ways never heard of in the past. This core skill of cultivating the ability to see connections between fields, ideas and concepts would then become an objective for the learners who are a part of this model (Siemens, 2008). At this juncture, this model would only be a part of a developmental theory as it would only describe change in behavior among nodes and networks and seek to explain how new ideas, perspectives and solutions are developed in these networks (Kop and Hill, 2008), however, scientifically it would not be hard to begin to map these behaviors logically and then verify these behaviors and their correlative values to satisfy the needs of a theory of science (Miller, 1993). This is especially true if one realizes that much of the connectivity of the internet especially surrounding social networking is already being documented and studied for the purposes of establishing demographics and marketing to affinity groups online (Zarella, 2011). This is not to say that there is a lack of proven models that could intersect with this connective model and help to establish learning objectives that are measurable, clearly define terms, develop processes where principles are derived from assumptions and provide robust explanations of what psychological and philosophical dynamics are related to the learning process (Gredler, 2005). With these foundations in place, coupled with the connected affinity scaffolding, this certainly could provide a platform for adult students who are returning to school and who have established affinities to subjects intrinsic and extrinsic to the subject matter being studied, and who also are tech-savvy to the point that they are comfortable interacting with others online using a variety of tools (de Waard, 2011). From this framework, now the best of both Meizrow and Knowles’ theories can be applied to scenarios based on the nature of the learning being undertaken or problem being solved. Within this framework, a model like Apgar’s INSPECT model (Apgar, 1999) would be useful as a rubric by which these other theories could be applied and intertwined to help solve real life problems and to engage learners who bring experience to the table in a way that would be meaningful and fulfilling at all stages of the process. The INSPECT model’s design is one of layering learning scenarios that personally affect the learner and be subjectively valued by the learner (Meizrow, 1991) (Merriam et al., 2007), while highlighting the fact that adults need learning to be based on self-identified goals that will act as a premise to solve problems that are currently affecting them (Cercone, 2008). This is done through a process by which learners can choose their work or academic related educational ventures (Apgar, 1999). This seven step process leads from initial inspection which imposes the question of integration in to the daily life of the learner; since for many learners, the outcomes are the highest motivator (Woodard, 2007), concentrating on these outcomes will keep the focus from one particular methodology and empower a search for a real solution to a real problem (Pritchett, 1995). From this initial inspection the leaner is then asked to navigate the course of learning that is central for his/her career aspirations or personal goals (Apgar, 1999). Having established the inspection of this learning and determined it to be profitable for the learner, the learner can now not only navigate the learning process and structure but also scrutinize the learning to understand what his/her investment will be, how it will actually affect them and if they have a readiness for the learning based on their knowledge of tier learning style, perspectives, learning environment, etc. (Knowles et al, 2011). This is also true in the midst of a crisis situation, the learner can move from critical assessment to exploration of options to planning a course of action through the framework of connectivity and Apgar’s model (1999). To this point either of the learning theories have been satisfied though the INSPECT framework and the learner is moving towards being more self-directed which a goal for either platform. Once a plan of action has been formulated then there is a series of steps that follow for the learner. The learner must pursue the knowledge that is critical for moving forward with the crated plan (Reushle, 2000); the learner must evaluate in an iterative way looking at the established goals in order to make course corrections if necessary (Woodard, 2007); capitalize on opportunities to try out new roles (Apte, 2009) and then transferring that learning to others through narratives and other means so that the intrinsic nature of the learning can break out and impact others (Gergen & Kaye, 1996) (Lang, 2004). This amalgam of leaning theory and modeling accompanied by a set of best practices for implementation of learning strategies and holistic approaches to a learner-centered environment where a combination of andragogy, transformative e-learning, technological delivery through m-learning, and connectivism are taking place (Anderson-Inman, 2009), will be the grounds for a revolution of education that will satisfy the customization of learning that will be demanded as “greater numbers of people will seek personal meaning in their lives in response to an intense, high-tech, always on, fast-moving society” (Marx, 2006, pg. 18). Apgar, C. (1999). Making it count: Factors to consider when assessing continuing professional education offers. Journal of Trauma Nursing, 6(1), 6-14. Retrieved from ProQuest Medical Library database. Apte, J. (2009). Facilitating transformative learning: A framework for practice. Australian Journal of Adult LEarning, 49(1), 168-188. Retrieved from EBSCOhost database. Bowen, J. (1972). A history of western education Vol 1: The ancient world. London: Methuen. Clark, A. E. (2005). Situational analysis: Grounded theory after the postmodern turn. Thousand Oaks, CA. : Sage. Collins, J. (2001). Good to Great:Why some companies make the leap and other don’t. New York: Harper Collins. Covey, S. R. (1989). The seven habits of highly effective people: Restoring the character ethic. New York: Fireside. Creswell, J. W. (2009). Chapter Nine: Qualitative Procedures. In Research design: Qualitative, quantitative, and mixed methods approaches (3rd ed., pp. 173-201). Thousand Oaks, CA. : Sage Publications, Inc.
Crotty, M. (1998). The Foundations of Social Research: Meaning and Perspective in the Research Process. Crows Nest, New South Wales, Australia: Allen & Unwin. Crowe, A. R. (2007). Learning to teach with mobile technology: A teacher educator’s journey. In M. van’t Hooft & K. Swan (Eds. ), Ubiquitous computing in education (pp. 127-144). Mahwah, New Jersey: Lawrence Erlbaum Associates. Day, J., & Bobeva, M. (2005). A generic toolkit for the successful management of delphi studies. The Electronic Journal of Business Research Methodology, 3(2), 103-116. Retrieved from ERIC database. Deimann, M., & Keller, J. M. (2006). Volitional Aspects of Multimedia Learning. Journal of Educational Multimedia and Hypermedia, 15(2), 137-158. Donovan, P. (2006). Ethnography. In E. R. Cluett & R. Bluff (Eds. ), Principles and Practice of Research in Midwifery (2nd ed., pp. 171-186). Edinburgh: Elsevier. Dyson, L. E., Litchfield, A., Lawrence, E., Raban, R., & Leijdekkers, P. (2009). Advancing the m-learning research agenda for active, experiential learning: Four case studies. Australasian Journal of Educational Technology, 25(2), 250-267. Foss, C. L. (1989). Tools for reading and browsing hypertext. Information processing and management, 25(4), 407-418. Glaser, B. G., & Strauss, A. (1967). The Discovery of Grounded Theory. Hawthorne, New York: Aldine de Gruyter. Goetz, J. P., & LeCompte, M. D. (1984). Ethnographic and qualitative design in educational research. New York: Academic Press. Grace, A. P. (1996). Taking a critical pose: Andragogy-missing links, missing values. International Journal of Lifelong Education, 15(5), 382-392. Gredler, M. E. (2005). Learning and instruction: Theory into practice (5th ed.). NJ: Pearson Education. Hartee, A. (1984). Malcolm Knowles’ Theory of Andragogy: A critique. International Journal of Lifelong Learning, 3(3), 203-210. Hasson, F., Keeney, S., & McKenna, H. (2000). Research guidelines for the Delphi survey technique. Journal of Advanced Nursing, , 42(2), 99-107. Henschke, H. A. (1998). Historical antecedents shaping conceptions of andragogy: A comparison of sources and roots. Paper presented at International Conference on Research in Comparative Andraogy, Radovljica, Clovenia. Retrieved from EBSCOhost database. Holloway, I., & Todres, L. (2006). Ethnography. In K. Garrish & A. Lacy (Eds. ), The Research Process in Nursing (5th ed., pp. 208-222). Retrieved from EBSCOhost database. Johansson, F. (2006). The medici effect. Boston, Massachusetts: Harvard Business School Press. Jonassen, D., Peck, K., & Wilson, B. (1999). Learning with technology: A constructionist perspective. Upper Saddle River, New Jersey: Prentice Hall. Keegan, R. (2000). What “form” transforms? A constructive-devlopmental approach to transformative learning. In J. Meizrow & Associates, Learning as transformation: Critical perspectives on a theory in progress (pp. 35-70). San Francisco, CA: Jossey-Bass. Keller, J. M. (1987). Development and use of ARCS model of motivational design. Journal of Professional Devlopment, 10(3), 2-10. Keller, J. M. (2008). An integrative theory of motivation, volition, and performance. Technology, Instruction, Cognition and Learning, 6(2). Knowles, M. S. (1980). The modern practice of adult education: From pedagogy to andragogy. New York: Follett. Kroth, M., & Boverie, P. (2009). Using the discovering model to facilitate transformational learning and career development. Journal of Adult Education, 38(1), 43-47. Retrieved from EBSCOhost database. Kuhl, J. (1985). Volitional mediators of cognitive-behavior-consistency. In J. Kuhl & J. Beckmann (Eds. ), Action control: From cognition to behavior (pp. 279-291). Berlin: Springer. Lang, E. (2004). Transformative and restorative learning: A vital dialectic for sustainable societies. Adult Education Quarterly, 54(2), 121-139. Retrieved from EBSCOhost database. Licqurish, S., & Seibold, C. (2011). Applying a contemporary grounded theory methodology. Nurse Researcher, 18(4), 11-16. Linstone, H. L. (1978). The Delphi technique. In J. Fowles (Ed. ), Handbook of futures research . London: Greenwood Place. Marx, G. (2006). Future-focused leadership: preparing schools, students, and communities for tomorrow’s realities. Alexandria, VA: Association for Supervision and Curriculum Development. Marx, G. (2006). Sixteen trends, their profound impact on our future: Implications for students, education, communities, countries, and the whole of society. Alexandria, VA.: Gary Marx and Educational Research Service. Mayer, R. E., & Moreno, R. (2002). Animations as an aid to multimedia learning. Educational Psychology Review, 14(1), 87-99. Meizrow, J. (2000). Learning to think like an adult: Core concepts of transformational theory. In J. Meizrow & Associates (Eds. ), Fostering critical reflection in adulthood. San Francisco: Jossey-Bass. Merriam, S. B., Caffarella, R. S., & Baumgartner, L. M. (2007). Learning in adulthood: a comprehensive guide. San Francisco, CA: Jossey-Bass. Miller, P. H. (1993). Theories of developmental psychology (3rd ed.). New York: W. H. Freeman. Moore, M. G. (2007). The theory of transactional distance. In M. G. Moore (Ed. ), Handbook of distance education (pp. 89-105). Mahwah, New Jersey: Lawrence Erlbaum Associates. Moreno, R., & Mayer, R. E. (1999). Cognitive principles of multimedia learning. Journal of Educational Psychology, 91(2), 358-368. Retrieved from EBSCOhost database. Odom, J. D., Scott, R., & DuBose, G. H. (2008). Hidden risks of green buildings (Mini-Monograph No. 1). Washington DC: ASHRAE. Park, Y. (2011). A pedagogical framework for mobile learning: Categorizing educational applications of mobile technologies into four types. International Review of Research in Open and Distance Learning, 12(2), 78-101. Parsons, A. M. (2008). 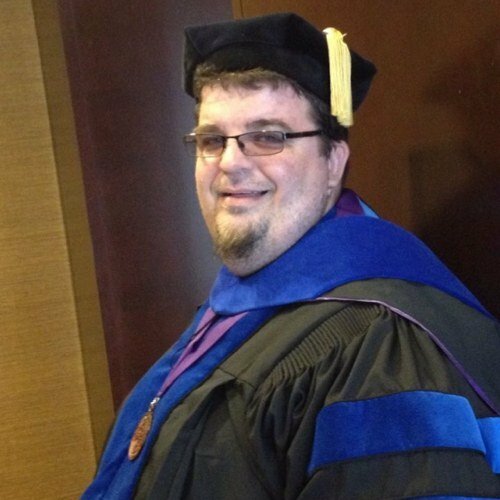 A Delphi study of best practices of online instructional design practices in Malaysia (Doctoral dissertation, Capella University, Minneapolis, MN). Retrieved from Dissertation Abstracts, 1(1) database. Patton, M. (1980). Qualitative evaluation methods. Beverly Hills, CA. : Sage. Plantinga, A., & Wolterstorff, N. (1984). Faith and rationality: Reason and belief in God. Notre Dame, IN: University of Notre Dame Press. Pratt, D. D. (1993). Andragogy after twenty-five years. New Directions for Adult Education, 57, 15-23. Retrieved from EBSCOhost database. Pritchett, P. (1995). New work habits for a radically changing world. Dallas, TX. : Pritchett & Associates, Inc.
Rachal, J. R. (2002). Andragogy’s detective: A critique of the present and a proposal for the future. Adult Education Quarterly, 52(3), 210. Retrieved from EBSCOhost database. Reushle, S. (Ed.). (2009). Online pedagogy in practice [Special issue]. International Journal of Pedagogies and Learning, 5(3). Retrieved from EBSCOhost database. Roberts, T. (2009). Understanding ethnography. British Journal of Midwifery, 17(5), 291-294. Rothwell, W. J., & Kazanas, H. C. (2008). Chapter 1: What is instructional design? In W. J. Rothwell & H. C. Kazanas, Mastering the instructional design process (pp. 3-16). San Francisco, CA. : John Wiley & Sons. Saba, F., & Shearer, R. L. (1994). Verifying key theoretical concepts in a dynamic model of distance education. The American Journal of Distance Education, 8(1), 36-59. Shih, Y. E., & Mills, D. (2007). Setting the new standard with mobile computing in online learning. International Review of Research in Open and Distance Learning, 8(2), 1-15. Retrieved from EBSCOhost database. Snyder, M. M. (2009). Instructional-design theory to guide the creation of online learning communities for adults. TechTrends, 53(1), 48-56. Stevens, K., Gerber, D., & Hendra, R. (2010). Transformational learning through prior learning assessment. Adult Education Quartely, 60(4), 377-404. Retrieved from EBSCOhost database. Sung, J.-S. (2009, December). U-learning model design based on ubiquitous environment. International Journal of Science and Technology, 13, 77-88. Retrieved from EBSCOhost database. Sweller, J. (1994). Cognitive load theory, learning difficulty, and instructional design. Learning and Instruction, 4(4), 295-312. Retrieved from EBSCOhost database. Taylor, B., & Kroth, M. (2009). Angragogy’s transition into the future: Meta-analysisof andragogy and its search for a measurable instrument. Journal of Adult Education, 39(1), 1-11. Retrieved from EBSCOhost database. Taylor, E. (1997). Building on the theoretical debate: a critical review of the empirical studies of Meizrow’s transformational learning theory. Adult Education Quarterly, 48(1), 34-60. Retrieved from EBSCOhost database. Turoff, M., & Hiltz, S. R. (1996). Computer based Delphi processes. In M. Adler & E. Ziglio (Eds. ), Gazing into the oracle: The Delphi method and Its application to social policy and public health (pp. 56-88). London: Jessica Kingsley Publishers, Ltd.
van’t Hooft, M., Swan, K., Cook, D., & Lin, Y. (2007). What is ubiquitous computing? In M. van’t Hooft & K. Swan (Eds. ), Ubiquitous computing in education (pp. 22-40). Mahwah, New Jersey: Lawrence Erlbaum Associates. Venkatesh, V., Morris, M. G., Davis, G. B., & Davis, F. B. (2003). User acceptance of information technology: Toward a more unified view. MIS Quarterly, 27(3), 425-478. Retrieved from EBSCOhost database. Wang, Y.-S., Wu, M.-C., & Wang, H.-Y. (2009). Investigating the determinants and age and gender differences in the acceptance of mobile learning. British Journal of Educational Technology, 40(1), 920118. Retrieved from EBSCOhost database. White, R. W. (1959). Motivation reconsidered: The concept of competence. Psychological Review, 66(5), 297-333. Woodard, C. A. (2007). Using adult learning theory for new-hire training. MPAEA Journal fo Adult Education, 36(1), 44-47. Retrieved from EBSCOhost database. Wyatt, T. H., Krauskopf, P. B., Gaylord, N. M., Ward, A., Huffstutler-Hawkins, S., & Goodwin, L. (2010). Cooperative m-learning with nurse practitioner students. Nursing Education Perspectives, 31(2), 109-113. Zarella, D. (2011, May 26). The Science of Social Media. Live Webinar presented at Hubspot Online. Ziglio, E. (1996). The Delphi Method and its contribution to decision making. In M. Adler & E. Ziglio (Eds. ), Gazing into the oracle: The Delphi method and Its application to social policy and public health (pp. 3-33). London: Jessica Kingsley Publishers, Ltd.